When it comes to the garden, you need to come up with ideas to make it more sociable. It’s such a great area of the home, and can be used to throw parties and gatherings. So, it’s important to make sure you follow these ideas and turn your garden into a social hub for the summer. Of course, no garden can truly be a social hub without the right furniture. So, it’s important to make sure you have plenty of furniture. Now, you might decide to buy some pieces from local stores or car boot sales. Or you could even head to Glue Guns Direct and the local timber yard, and stock up on materials to build your own. Think about having an array of different pieces of furniture that can be used to make the place more sociable. You’ll need tables, chairs, and benches, and the more people you can accommodate the better. Don’t forget that when you socialise with your friends you need entertainment. That means you have to have some sort of entertainment in your garden. This could be a stereo with a party playlist, or it might be some outdoor games. One of the best things you can do is set your TV up outdoors so you can all watch something. This is ideal if you’re having people over to watch sport. You’re spoilt for choice this summer with Euro 2016, Wimbledon and the Olympic Games all happening. And, by screening them in the garden, through the TV, you make it a more social occasion. If you’re going to be socialising and entertaining, you need to think about how to capitalise on this. Presenting the perfect social environment in the garden is important. And having a BBQ is a great way of achieving this as much as possible. So, you need to make sure you dust off the BBQ and start planning a few over the next few months. Think how much more sociable your garden will become with a BBQ smoking away. 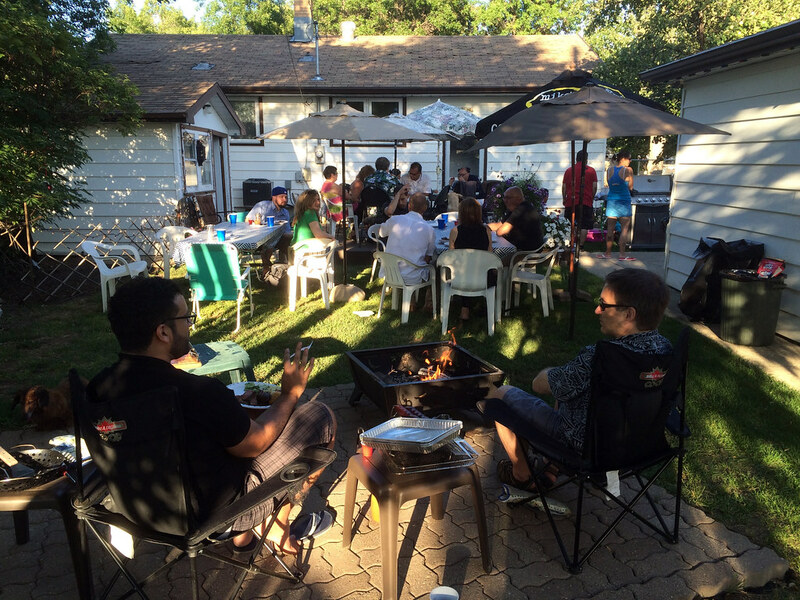 People can gather around, grill meat and enjoy cold beverages. A BBQ is the perfect way to spend a hot summer afternoon with your friends and family. A big part of making the garden more appealing in a social context is to make sure it looks good. Think of it this way; a visually stunning garden is somewhere a lot of people are going to want to hang out. And that’s why you have to do what you can to ensure it looks good as much as possible. The best way to do this is to tidy it and make sure it’s neat and pruned. Then you’ve got to take a look at improving the appeal through colourful plants and flowers. Adding features to your garden will also help make it look better too. It’s pretty clear just how important the garden is to the home. If you are lucky enough to have a garden, you need to try to make the most of it. And it’s important to understand the role it can play for your property. Turning your garden into a social hub is so crucial for getting the best out of it, and enjoying the summer.